Ok, I know this one is (near) stock, but when I saw it sitting there, I was just drawn to it for some reason. Not many cars can grab my attention in stock form. I always view them in a way that my mind says, “What if we added a spoiler here, or a fender flare there. What if I lowered it a little bit more and added (insert wheel name here)'s on it? What if...” What can I say? I love modifying cars, and I'm not ashamed of it. There are maybe 6 cars that I could drive in stock trim (looks wise) and four of them are some iteration of the GT-R (R32, R33, R34, R35). 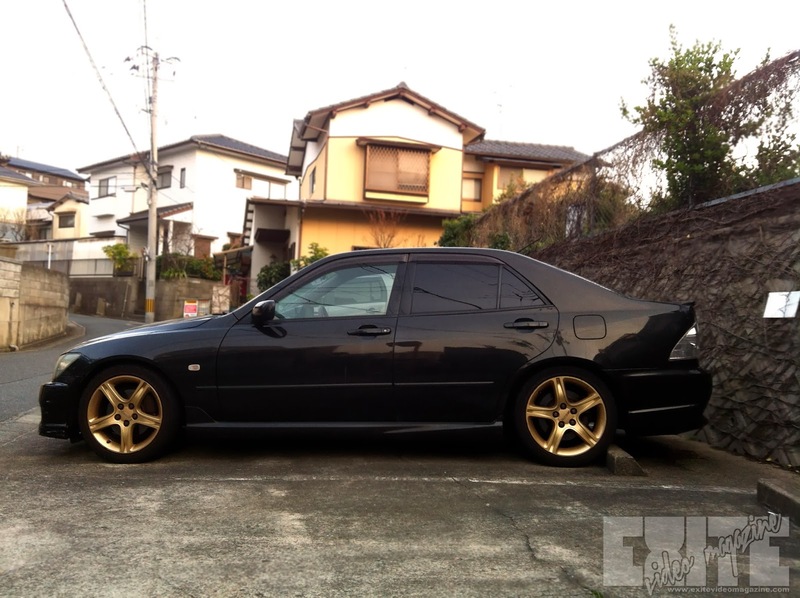 The other two are the FD RX-7, and this car, the Toyota Altezza. In a non-schizophrenic way, it just speaks to me, inviting me into the cockpit. I think the lines just flow seamlessly together. Even in stock form it looks ready to pounce. 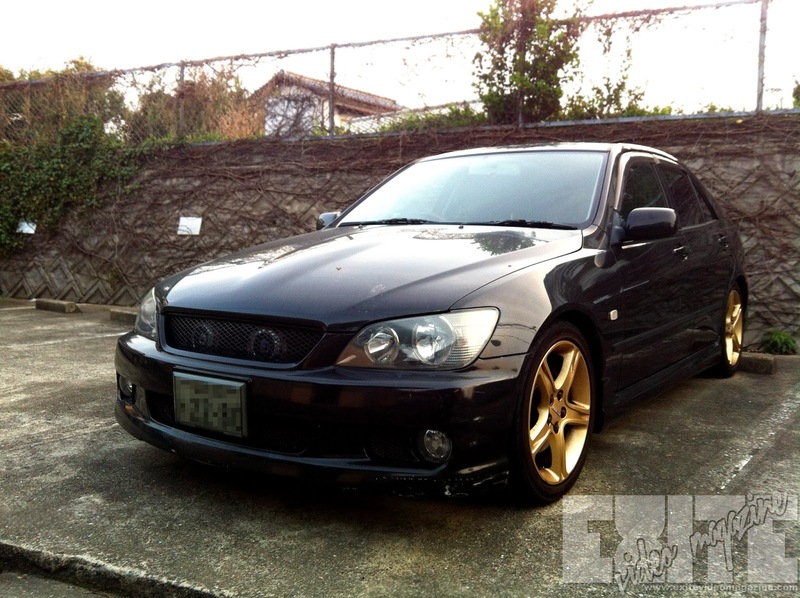 Everyone I know, whether they are a Toyota fan or not, loves the Altezza. The only comment I ever heard contrary to the pure beauty of this car is when my girlfriend said it looks like “an Ojiichan's Car.” Ojiichan means grandpa, so I would say “papaw car.” And to be fair to her, the car was in (silver), which is the least flattering and dullest color you can get this car in. Mods wise, it just looks like maybe a drop spring job with a mesh grille and some aftermarket horns. The interior looked unmolested, and I don't recall an exhaust, which to be honest is rare. In Japan, almost EVERYTHING has an exhaust, even your mamaw's mobility chair... and even worse, the Prius. If you were condemned to non-modified hell, what car would carry you through the flames, devil in your passenger seat?